AddYouCation’s commitment is visible in buildings and in places of communal learning. 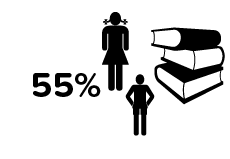 With our sponsorships we wish to help individual students on their way through life. You can support two pupils at St. Catherine Senior High School with 25 euros per month. This contribution covers half the cost of school materials for two girls, and it relieves the pupil’s parents financially while maintaining their responsibility for their children. Thus, our sustainable approach aims at the girls staying in school for the duration of three years and achieving a recognised high school degree. The sponsorships are kept up to date together with the school board and the Keta-Akatsi diocese. 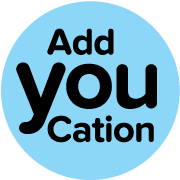 AddYouCation regularly updates you on the sponsored pupils and their progress at school. The sponsors receive personal letters and photographs whenever possible. Conversely, sponsors can send letters and e-mails to their sponsored pupils through AddYouCation. Becoming a sponsor provides valuable assistance to a life without poverty.